We’ve all heard the horror stories of lithium batteries blowing up in people’s faces. Whether we’re talking cell phones, flashlights, tablet computers, RC cars or vaping devices, lithium-ion batteries (especially high-drain) are a special breed of battery that require user precautions be taken. Since most accidents are the result of user error, battery misuse, counterfeit products or a strange combination of all three, we have devised a handy list of warnings and handling precautions to help keep you safe. Lithium-ion batteries are volatile and can present a serious fire or explosion hazard if damaged, defective or improperly used. Lithium-ion cells contain flammable chemicals such as organic solvents. 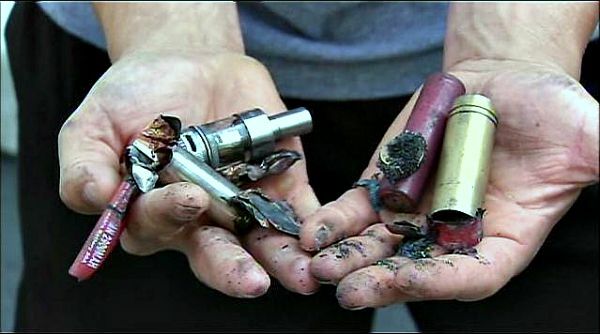 Do not place battery near fire, high-temperatures (Over 60°C/140°F), direct sunlight. To prevent short-circuiting and rapid accidental discharging, do not connect the + and – terminals with any conductive materials such a metal objects, pens, loose change, etc. Keep batteries out of pockets or purse or anywhere where batteries may be exposed to metallic or conductive objects. Avoid impact to the battery. Keep in a hard plastic case during transport and ideally within a fire-resistant container or bag. Never penetrate battery with a nail or strike with a hammer. Do not use a battery or a device that appears to be damaged. Do not put battery in a microwave or other cooking appliances. Do not disassemble or tamper with battery. Do not touch a leaking battery. Battery liquid in your eye or skin will cause serious damage. Do not immerse in, or expose battery to, liquids, especially saltwater. Exposure to liquids can cause internal corrosion or damage to the cells or to the Battery Management System (BMS). The BMS protects the battery from overcharging, high self-discharge or imbalanced charging of the cells, any of which can present the possibility of fire during recharging. Do not use or attempt to charge a battery that is swollen or bulging, if it has rust or evidence of corrosion, if the wrap has been damaged, if the wrap is peeling off, if it is giving off an odor, if it feels hot to the touch. A healthy battery should only get slightly warm during charging. If the battery becomes hot, smokes, swells, or gives off an odor during charging, terminate charging immediately and contact the manufacturer. For recharging, it is best to use an external, dedicated, authorized charger. Max charge should be 4.2V for most 18650 Lithium-ion batteries. Use only supplied charging cables and connections. Make sure connections are in good condition. As a delayed chemical reaction can occur if a fault is present, observe the battery in a safe place for at least 15 minutes after charging is complete. Rechargeable high-drain 18650 cells often used in vaping devices are rated for a maximum discharge at 20Amps. Do not direct connect or have the battery touch an AC plug (outlet) or car plug. Do not mix new and used batches of batteries or different brands of batteries within the same device. If using a vaporizer device that utilizes more than 1 battery to function, always marry your batteries. This means that all batteries used in the device must be the same brand and model. Discharge and recharge the married batteries together at the same rate, in the same charger. Stop charging if battery cannot finish charging within the specified time. Lithium-ion batteries should be used and charged at room temperature (20°C / 68°F). The generally recognized as safe charging temperature range is between (10°C/50°F and 43°C/110°F) . Lithium-ion batteries should never be stored or charged below temperatures of 4°C/40°F. Charging below 40°F (4°C), causes a chemical reaction in the battery cells that can cause permanent damage and the possibility of fire or explosion during charging. Read manuals for both your device and battery charger before use. Make sure the + and – poles are oriented correctly before placing in your device or charger to prevent reverse polarity. Never use a charger other than specifically designated for the particular battery. Do not leave charging devices plugged into computers, laptops or wall units when not in use. Overuse of vaping devices may cause overheating, malfunction, and/or burns or injury. Do not leave unit unattended while charging at anytime or overnight, and do not charge it in your vehicle. When charging, keep away from flammable areas, such as but not limited to, wood floors and carpets. In the event the battery begins to balloon, swell, smoke, or become very hot, immediately disconnect the power to home or office from the circuit breaker. If a circuit breaker is unavailable, disconnect from outlet. Do not approach the battery for at least 2 hours and ensure the room is ventilated. Always use a surge protector. Should a child/pet swallow or chew on a battery, immediately consult a physician and/or call your local Poison Control Center. 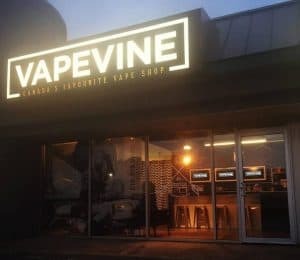 Always turn off vaping devices when not in use. Unplug charging units when not in use. Will JUUL in Canada Get Shut Down?